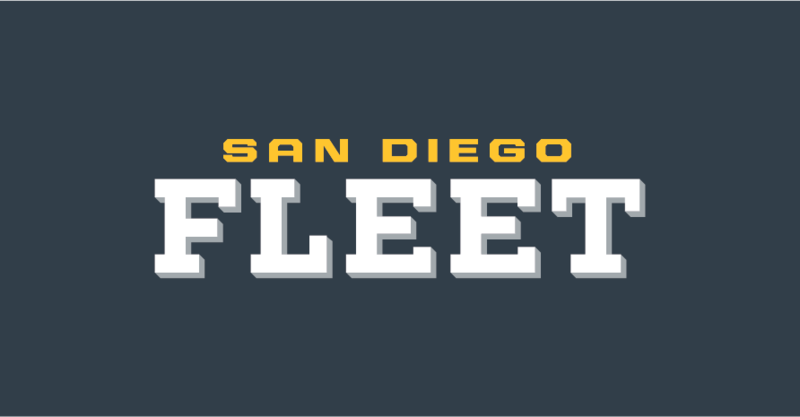 San Diego Fleet football has kicked off in a big way. Well, figuratively since this my friends is the Alliance of American Football, and there are no kickoffs! 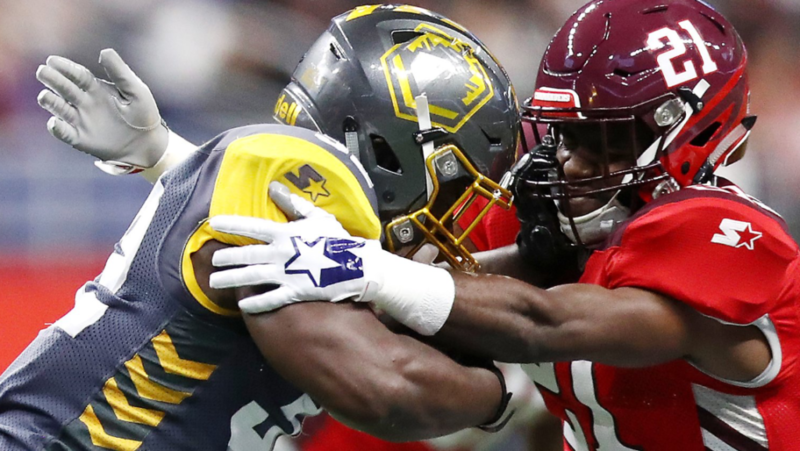 In San Antonio to take on the Commanders for the first game in the franchise history, the Fleet was ready albeit without some of their starting players. After winning the coin toss, the Fleet’s strategy would be to defer on the opening drive and allow their defense to show what they could do. San Antonio quarterback Logan Woodside was sacked by Damontre Moore for the first official sack in Fleet history. A stop by the Fleet defense on third down would give the team its first ever forced punt. Starting at their own three-yard line, Michael Bercovici quickly completed a 20-yard pass to tight end Ben Johnson for a first down. After a monstrous sack by San Antonio that resembled a hit in a professional wrestling ring, the Fleet was forced to punt. The ensuing Commanders’ drive is when we got to experience the uniqueness of the AAF. After a long pass from Woodside to WR Mekale McKay was called complete, Mike Martz did not agree with the call. He used one of the two challenges available to him for the game. The viewer was then transported into the challenge booth above the field at the Alamo Dome, where we heard what they were seeing, how they were changing it and why. It was refreshing to see something that so many football fans are typically in the dark about. The outcome was in favor of the Fleet and the completion was overturned. Despite the victory with the challenge the Commanders would still convert on 3rd and 15 with a nice pass from Woodside to McKay for 19 yards. As the drive continued we would see some gutsy play calling by Mike Riley. His gamble though would not pay off as San Antonio would attempt to convert on 4th and long, but Miles Nash sacked Woodside giving the Fleet the ball back around mid-field. The rest of the first half was a back and forth battle without much scoring. Both teams would get a pair of field goals with the Fleet hitting one right before the half expired that was setup by a Ryan Moeller interception. It was a tale of line play for the Fleet in the half. And a polarizing tale at that. While the Fleet defensive front played stout keeping pressure and sacking Woodside multiple times, the team’s offensive line gave up five sacks. They were not able to give Mike Bercovici a lot of time to get the ball out. Without the offense getting much going it was still tied at the half. Opening the second half at the 30-yard line, remember there are no kickoffs, the Fleet could not get it going, unfortunately. Bercovici hit Brian Brown with a pass that should have been a first down, but Brown could not hold onto it. The Fleet would punt. San Antonio then began marching downfield. A couple of big pass plays to move the chains and it looked like they could not be stopped. Someone forgot to tell former Buffalo Bills defensive back Ron Brooks that. With Woodside looking to put another six points on the scoreboard, Brooks jumped the route and picked him off in the end zone. Brooks, who sounded confident during an interview following his interception, was enjoying the moment. After being two years removed from football because of a devastating quadriceps injury, he has battled back overcoming the odds. The athletic defensive back could prove to be a stalwart in the Fleet secondary this season. Not to be outdone by his San Antonio counterpart, Fleet quarterback Michael Bercovici threw a ball he would wish he could have back. Attempting to hit Gavin Escobar on inside cut his pass was intercepted by De’Vante Bausby. The very next play Logan Woodside would air it out with a bomb caught by wide receiver Alonzo Moore inside the five-yard line. Immediately following the long pass Kenneth Farrow II would run around the right side to walk into the end zone untouched for a Commanders touchdown. San Antonio took the lead 12-6. 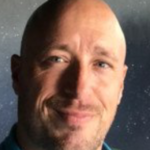 Just like kickoffs, there are not point after touchdown (PAT) kicks in the AAF. All attempts are two point conversion attempts. The Fleet would not allow a successful conversion this time to stuff the play short of the goal line. We would have some back and forth drives from each team without much success. The Fleet offensive line looked pourous. They couldn’t protect their quarterback or give him time to do much. Credit the San Antonio secondary whose tight coverage worked well with their ferocious pass rush. 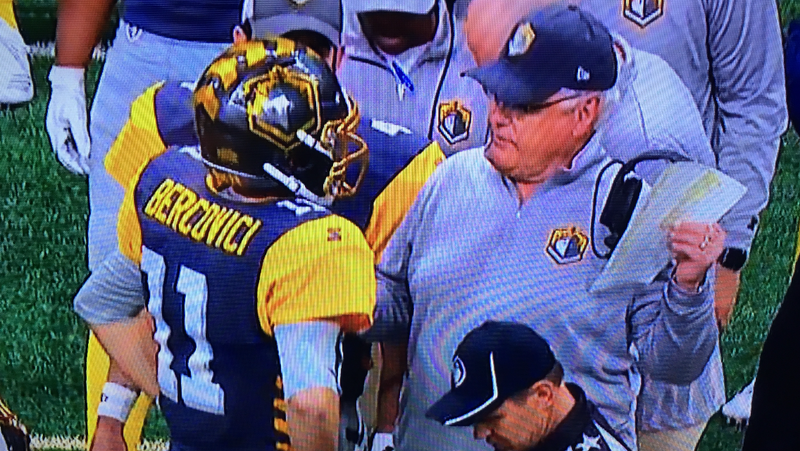 Mike Martz decided he had seen enough from Bercovici for the day. 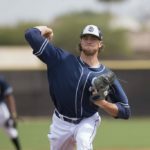 Many thought we might see Alex Ross who has looked good to this point in the pre-season action, but Martz went to Phillip Nelson. Nelson did not see much success on his first drive and the Fleet offense, led by running back Ja’Quan Gardner, were unable to move the ball. They would punt back to San Antonio who was getting in the groove. San Antonio took off a huge portion of the remaining time in the fourth quarter. Their 16 play drive resulted in Nick Rose‘ third field goal of the night that put them up 15-6. Now down by two scores, Nelson would have to go to work. With less than three minutes he had a daunting task ahead against a Commanders defense that had not only got to the quarterback all day but also picked off Bercovici twice as well. Nelson looked up to the challenge. With a mix of runs and passes, Mike Martz seemed to have the Commanders on the ropes. At least for the moment. The Fleet overcame a big penalty by converting a first down. The next play Nelson even hit Brian Brown inside the 10-yard line that set them up for the possibility of a short score. Phillip Nelson dropped back and thought he had an open receiver in the end zone. Commanders defensive back Zack Sanchez made a great play to get his body turned around to the inside and make the interception. The play would prove to be insurmountable for the Fleet. The would try all your last-minute heroics, not giving up in the slightest, but fell short in the end. A low scoring affair, the final score would be San Antonio Commanders 15, your San Diego Fleet 6. For the Fleet, led by their offensive-minded coach Mike Martz and electric RB Ja’Quan Gardner it will go down as a loss. For the AAF it is a huge win. It was an entertaining brand of football being played tonight in San Antonio. One that is reminiscent of their big brother the NFL. The game wasn’t dominated by bad officiating or questionable calls, but by a hungry bunch of football players wanting to show they have what it takes to play professional football.